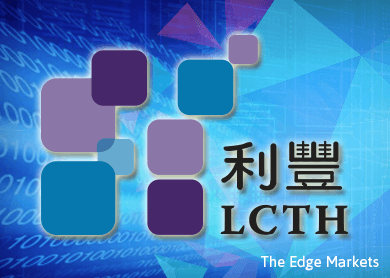 Share price of LCTH (Fundamental: 2.1/3, Valuation: 1.4/3) jumped 7.2% to a one-year high of 81.5 sen last Friday on heavy volume. The increase follows its 3Q2015 results and interim dividend announcements last Thursday. For 9M2015, net profit more than doubled to RM15.5 million despite a 7.6% decline in revenue to RM87.9 million. The improved profitability was attributed to better operational efficiencies, focus on higher margin projects, as well as forex gains of RM5.0 million. 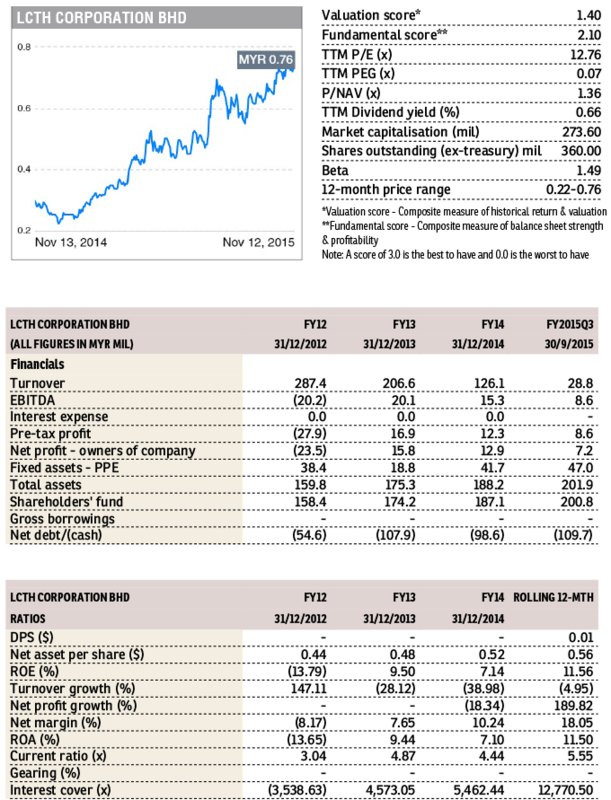 Concurrently, LCTH announced an interim dividend of 0.5 sen per share, bringing year-to-date dividends to 1 sen per share. At current price, this translates into a net yield of 1.2%. The dividend will go “ex” on November 26. LCTH manufactures and sub-assembles precision plastic parts and components, as well as fabricates precision mould and dies. In 2014, about 58% of its sales were denominated in foreign currencies — primarily SGD, Euro and USD.